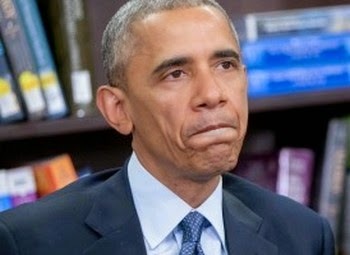 by Hans von Spakovsky: In an order issued late Tuesday, federal district court Judge Andrew Hanen refused to lift the preliminary injunction he had previously issued stopping the implementation of the immigration amnesty plan announced by President Obama last November. Fabrications, misstatements, half-truths, artful omissions, and the failure to correct misstatements may be acceptable, albeit lamentable, in other aspects of life; but in the courtroom, when an attorney knows that both the Court and the other side are relying on complete frankness, such conduct is unacceptable.Because of the government’s misconduct, Judge Hanen considered striking their pleadings, and indicated that “under different circumstances,” he might “very well do so.” But he didn’t because, he said, that would effectively end the case. Tags: Hans von Spakovsky, Heritage Foundation, Judge Hanen, Federal District Judge, blistering rebuke, Obama administration, immigration lawyers misbehavior, To share or post to your site, click on "Post Link". Please mention / link to the ARRA News Service. and "Like" Facebook Page - Thanks! Well there at least one judge who is not legislating from the bench.